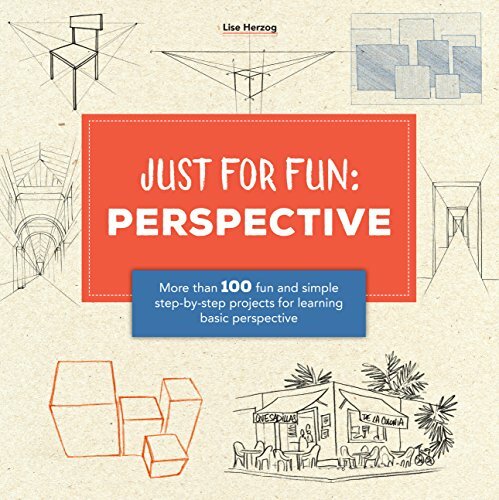 Just for Fun: Perspective is a accessible book for beginners who want to learn perspective but think that it's a complicated subject. Well, perspective is complicated, but in this book, all the basics of perspective are explained very simply, in a clear and concise manner that anyone can understand easily. There are many illustrated examples provided that you can copy and learn. It even covers perspective for stairs and shadows. The first part of the book covers all the basics, such as 1, 2 and 3 point perspective. All these are based on observation. The second half of the book build on the concepts taught and teaches you how you can apply perspective to composing and staging your scene. More specifically, it teaches you the points you should take note of when drawing something from imagination, how to choose a scene based on perspective and what it shows, how you can use perspective to illustrate the illusion of depth and distance. It's a great book for beginners. When you feel like you have mastered the basics, you can check out other more advanced perspective books.